The following is fifth of six YBIC National Eating Disorders Awareness Week daily posts that highlights how the practice of yoga can be an integral component in the effective treatment of and on-going recovery from eating disorders and disordered eating. The other morning, amidst the circus of dressing, feeding, and packing up my 5- and 3-year-old daughters for school, the older one shared what she had learned in her Kindergarten class the day before. My heart melted. I hung on her every word, savoring the light in her eyes and the confidence in her voice. Here was my baby, imparting such wisdom. Had her brilliant teacher been standing in front of me, I would have picked her up and spun her around out of joy and gratitude for teaching the children about feelings and validating their human right to share loud and clear—without guilt, shame, or doubt—when they hurt inside. As a mother and woman in recovery from an eating disorder, I feel such a profound sense of relief and satisfaction knowing that my daughter’s educators reinforce what me and my husband teach at home about feelings, self-concept, and self-esteem, especially at such a young age. By feeding our children messages from a variety of voices about the goodness of acceptance, compassion, kindness, and self-love, we build up their inner resilience and ability to stay connected to their feelings despite the wear and tear of life’s challenges. I share this story with you because I believe our ability to express our feelings directly affects our ability to love ourselves. I’ve been on my healing path from anorexia for 20+ years, and, as you may know, that illness thrives on not feeling, on being numb, empty, and barely there. Emotions, in contrast, are filling, take up space, and demand attention. In my experience, the healing path is about making small shifts toward feeling and expressing those feelings more and more as an act of self-love. With practice, expression becomes less fraught with anxiety as we settle into some sense of ease with what is. Still, it’s a rocky road that can’t be traveled without discomfort, risk, and bravery. Years of yoga and healing have fostered in me a steadfast practice of svadhyaya, the yogic concept “self-study,” which means turning inward and observing your actions, reactions, emotions, and habits. 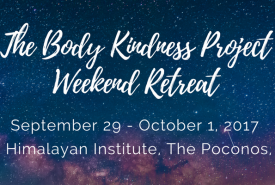 From the awareness born out of self-study we can tap into insights about our relationships with ourselves and others as well as food and our bodies. When I move my body in sync with my breath, I can tune into and observe the ebb and flow of feelings and emotions that circulate through me. With time and much yoga practice on and off the mat, it’s become more natural to navigate the twists and turns that come with being awake to my life versus numbed out to it. The game changer for me was the realization that self-love ebbs and flows, as does acceptance (especially body acceptance). I’ve studied self-love on my mat. I’ve watched myself feel content, peaceful, and be kind. I’ve also observed the quiet violence of anorexia in the absence of self-love. If self-love ebbs and flows, then, my friends, we must be vigilant to not fall in the trap of making self-love (and body acceptance) a black and white concept, meaning we either dislike or love ourselves. That approach is a set up for all too familiar eating disorder patterns and thinking and cuts off access to our emotions. I think about it like this: If dislike and love are opposite poles of a spectrum, then let’s explore the spectrum itself, the space between hate and acceptance, dislike and self-love. Here, I believe, resides kindness, compassion, patience, respect, tolerance, and other states of being that keep us flowing in the direction of self-love. So on those hard recovery days, when the urge to self-destruct is strong and self-love seems too big, too unattainable, too impossible, I encourage you to come back to another quality like kindness or respect, and start there. Ask yourself this: Instead of hurting myself, what’s one small, tiny thing I can do that would be an act of kindness or compassion for myself? Continue to ask yourself until an answer bubbles up. Call on your yoga practice to help you get quiet enough to hear the answer. Once you have it, hold the answer in your mind, take a few deep breaths, and see your act of kindness or respect or compassion through. Just this small shift reconnects you to the flow of self-love in your life. It will also inspire a sense of empowerment as you realize you can choose goodness for yourself. In the spirit of my daughter’s wise words, it’s very important to always say how you feel so it doesn’t get stuck inside and make you worry and feel bad about yourself. So keep sharing yourself, my friend. By doing so you are a role model for others and children like my daughters, showing them that it is safe and worthwhile to ride the wave of feelings and flow toward self-love. If you or someone you know is suffering from an eating disorder, know that you are not alone and that there is help. For more information and resources you can call the National Eating Disorders Association Helpline at 1-800-931-2237. 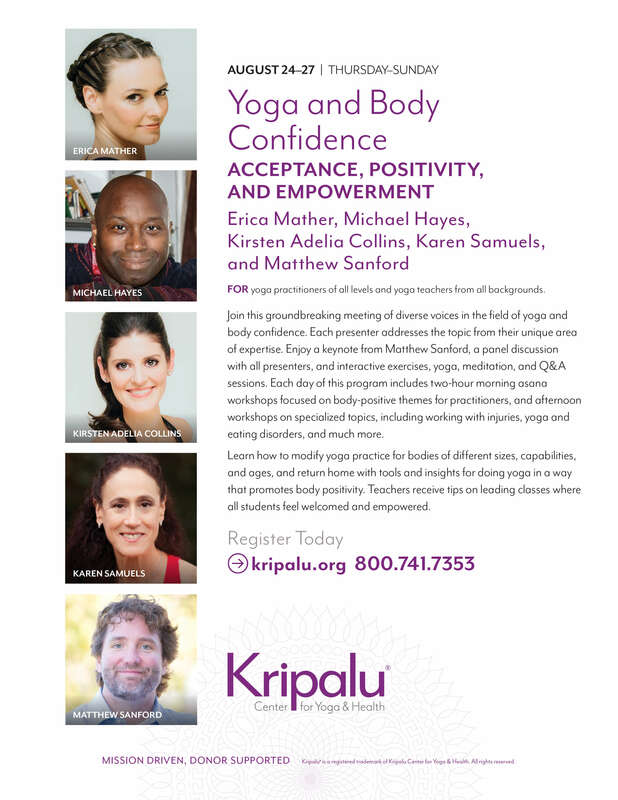 Jennifer Kreatsoulas, PhD, RYT, is a yoga teacher and yoga therapist specializing in eating disorders and body image. 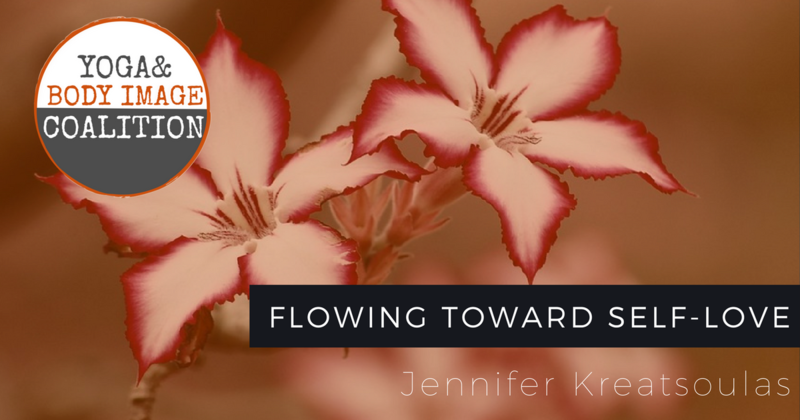 In recovery herself, Jennifer is extremely passionate about helping others reconnect with their bodies and be empowered in their lives. Jennifer works with clients in person and via Skype. 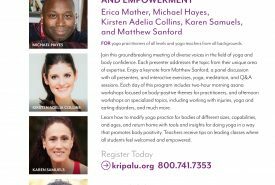 She also teaches yoga at the Monte Nido Eating Disorder Center of Philadelphia, is a partner with the Yoga and Body Image Coalition, and leads weekly trauma-sensitive yoga classes. 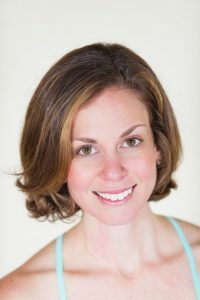 Jennifer contributes regularly to eating disorder and body image blogs and the Yoga Living magazine. 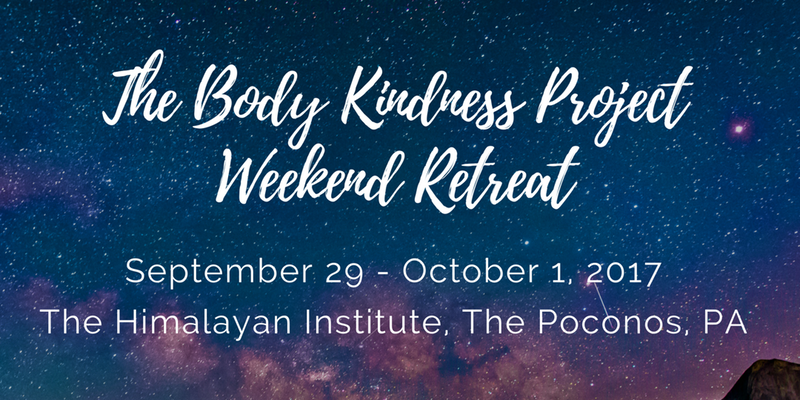 Learn how you can work with Jennifer and check out her new 3 Home Yoga Practices to Strengthen Body Image and Support Eating Disorder Recovery. Amazing article. Thank you for all you do to support positive body image for all ages.